For the last few years, the Israel Dairy School has served selected markets as a trusted international source of knowledge and training on all aspects of dairy production. Our expert team shares experience in a variety of Dairy fields and draws upon cutting edge technological processes to offer dairy farming solutions specifically designed to advance efficiency and productivity in domestic dairy industries. The Israeli Dairy School programs, which are modeled on the globally recognized success of the Israeli dairy industry, are well respected as a benchmark of international standards. 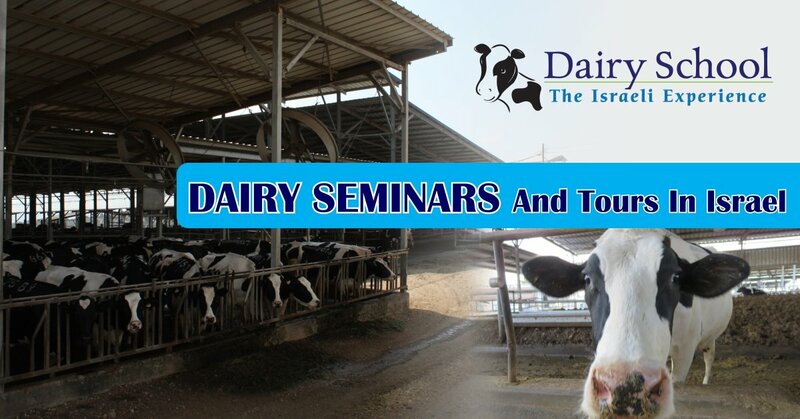 The Israeli Dairy School and Lotem Seminars are owned by Mr. Ofier Langer. Mr. Langer holds a B.Sc in Animal Husbandry from Jerusalem University. He has 15 years experience working at TEVA Pharmaceuticals, the biggest generic pharmaceutical manufacturer in the world, as Senior International Marketing Manager in veterinary and human medicine. In this position, he helped to open doors in several international markets to many Israeli companies. His regional work within Asian markets has opened up a wide variety of import deal opportunities, one of which is the establishment of a dairy farm in Vietnam. With 30,000 cows, it is the largest project of its kind in the world, and the farm now produces 300 million liters of milk per year. Mr. Langer also served as Vice President of Afimilk, a leading Israeli dairy herd management company, from 2005-2010. Mr. Langer is ably assisted by a select team of experts in all aspects of Dairy Farming. The team consists of sought-after experts in the fields of Herd Nutrition, Small Ruminant Farming Methods and Dairy Farm Management. Together they have a wealth of knowledge and experience to share with emerging farmers at our Israeli Dairy School Seminars.